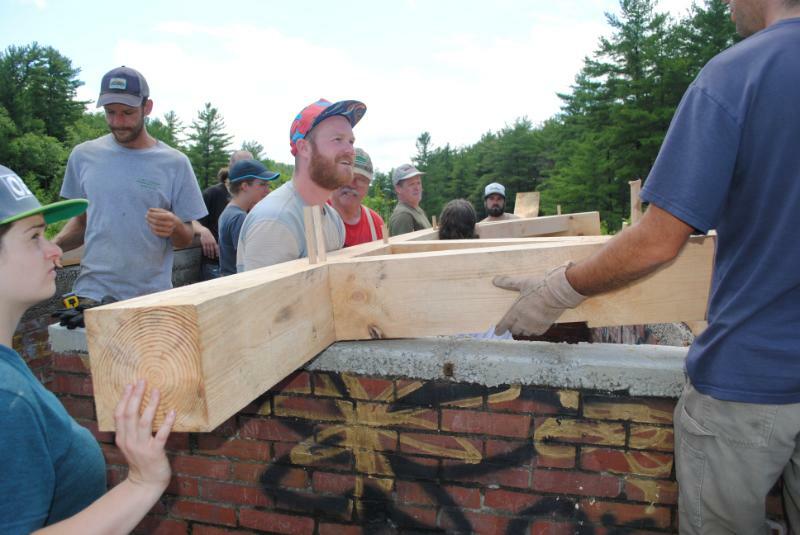 In the spring of 2015, I collaborated with David Brynn of Vermont Family Forests and the Hogback Community College to co-teach a workshop called Forest to Frame. 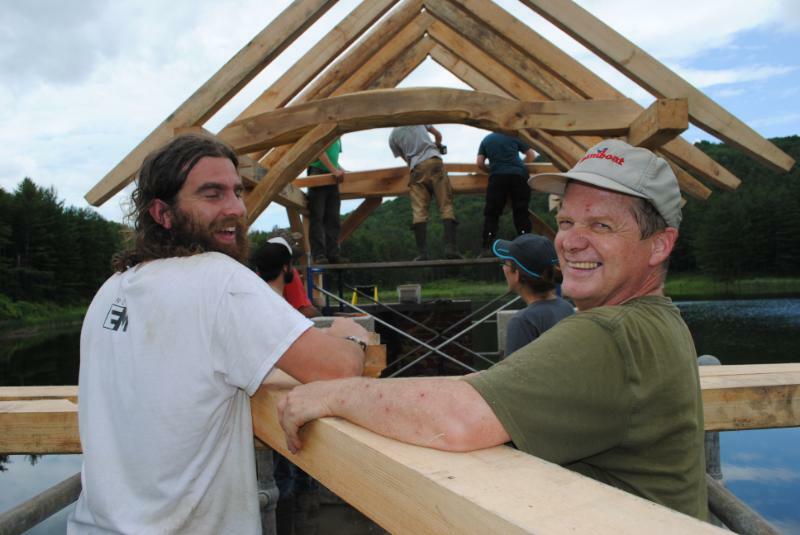 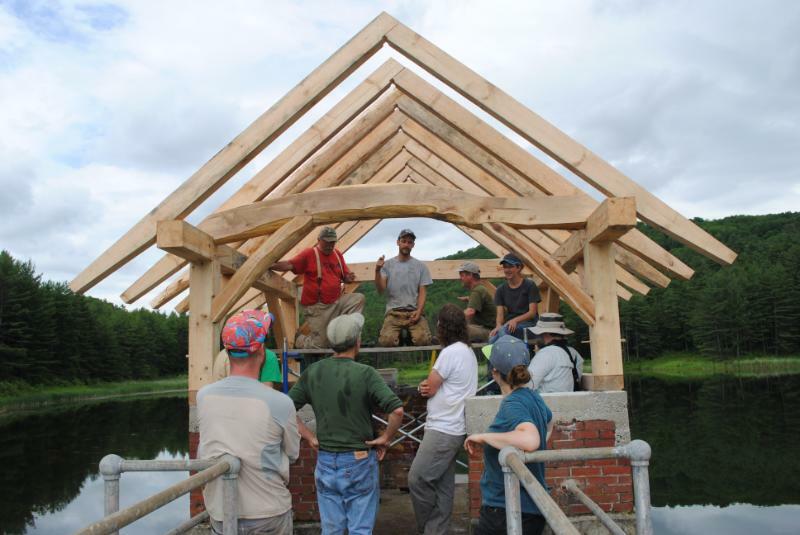 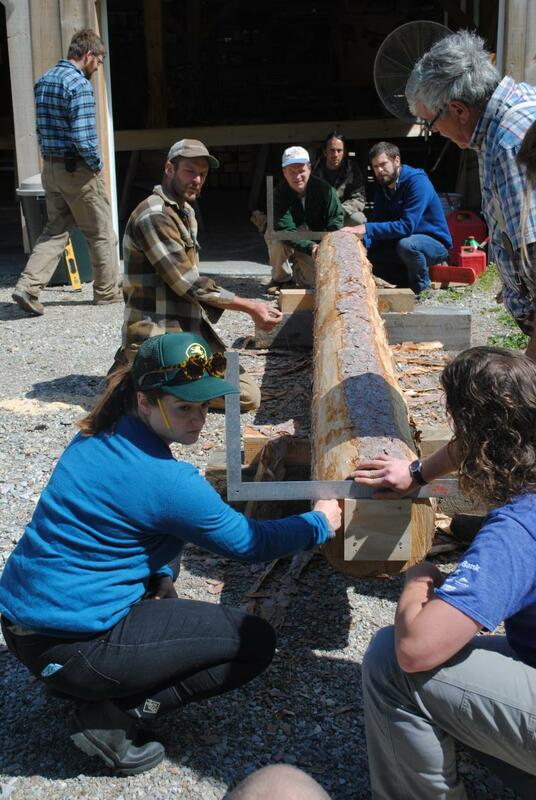 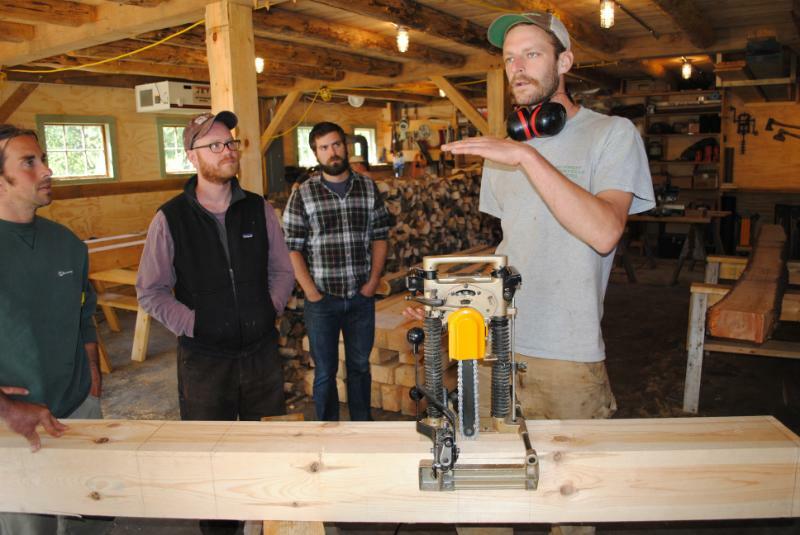 Participants in this workshop, held over the course of three Saturdays, were introduced to the entire process of timber framing: a foundation of sound forestry principles, selecting and felling trees, milling and hand-hewing timbers, lay-out and cutting timber frame joinery, and finally hand-raising the frame! 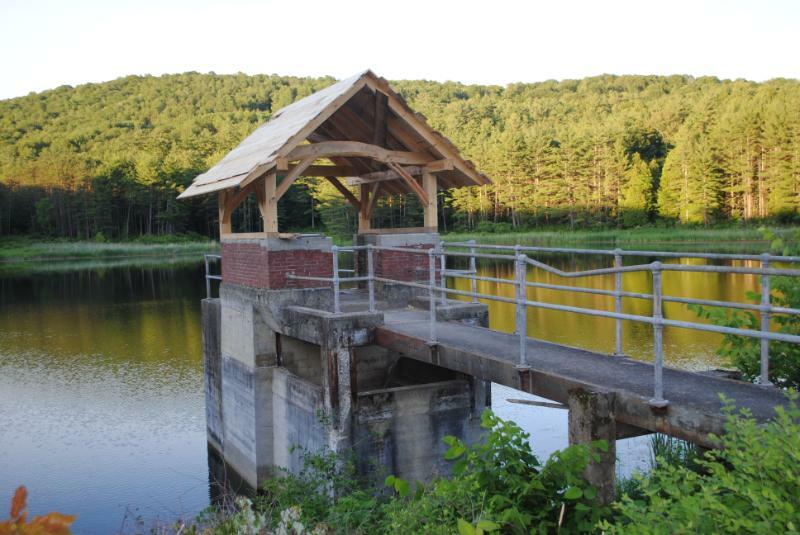 The fruit of our labor is a lovely 10×10 shelter over the Ann Hoover dam on the Waterworks property in New Haven, VT.